Zika virus is an emerging mosquito-borne virus that was first identified in Uganda in 1947 in rhesus monkeys through a monitoring network of sylvatic yellow fever. It was subsequently identified in humans in 1952 in Uganda and the United Republic of Tanzania. Outbreaks of Zika virus disease have been recorded in Africa, the Americas, Asia and the Pacific. Zika virus is transmitted to people through the bite of an infected mosquito from the Aedes genus, mainly Aedes aegypti in tropical regions. This is the same mosquito that transmits dengue, chikungunya and yellow fever. In 1978, a handful of Zika cases were identified in Indonesia, but the disease seemed to disappear without any public health intervention. The first serious outbreak of Zika outside of Africa occurred in April 2007 on Yap Island, part of Micronesia, eventually spreading to neighboring islands of the nation. There have only been about 14 or 15 cases reported in 2007 outbreak in the Yap Island. Since the Yap outbreak, Zika has emerged eastward across the Pacific in the Cook Islands, Tahiti, and in 2015, the Easter Islands off Chile. 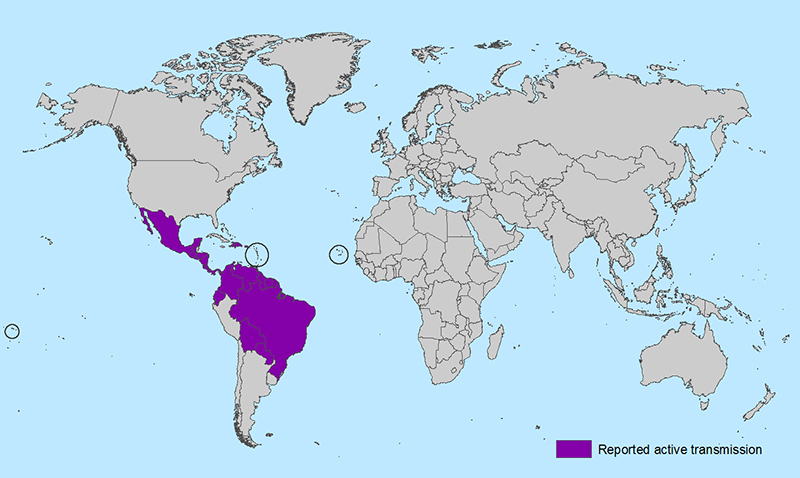 Until 2015, Zika had never been seen in the American hemisphere. It is present in more than 13 countries and the Americas have reported sporadic Zika virus infections indicating rapid geographic expansion of Zika virus. (Source: Journal of General Virology). 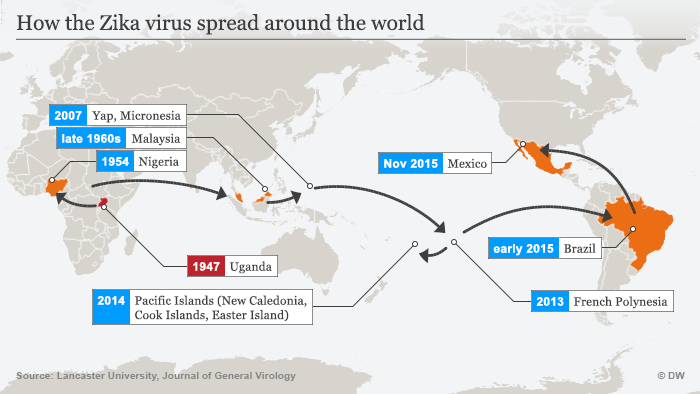 In 2014, the virus appeared in the Americas, arriving in the Easter Islands, and then transferred to Brazil. 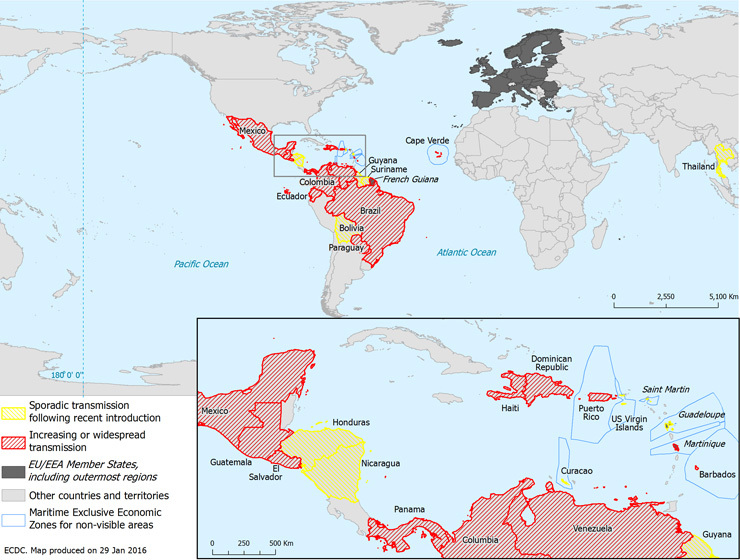 The present Zika virus outbreak started in April 2015 in Brazil, and subsequently spread to other countries in South America, Central America, and the Caribbean. (Source: Center for Disease Control and Prevention). (Source: European Centre for Disease Prevention and Control (ECDC) 2005-2016). Brazil has been battling the largest Zika outbreak yet, with more than a million people infected. In May 2015, the Pan American Health Organization (PAHO) issued an alert regarding the first confirmed Zika virus infection in northern and eastern Brazil. The outbreak in Brazil led to reports of Guillain-Barre syndrome and pregnant women giving birth to babies with birth defects and poor pregnancy outcomes. In 2014, Brazilian health officials reported 147 cases of babies born with microcephaly, a congenital deformation of the skull that compresses the infants’ brains. In 2015, some 3,000 microcephaly cases were reported in the country along with 500 other infections; about a quarter of the 4,000 were detected in the month of December. That represents a twenty-fold year-to-year increase in an extreme birth defect. 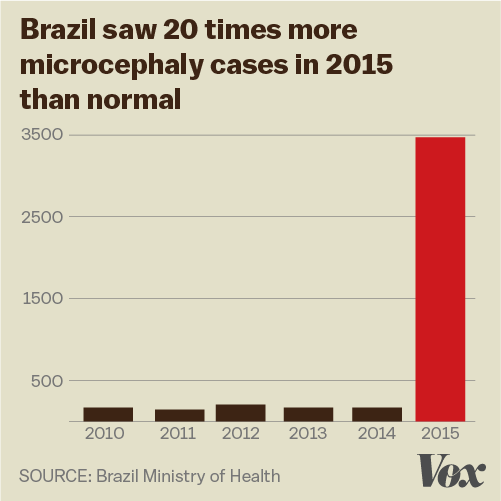 Figure 4: The increasing trend of Microcephaly cases in Brazil. As of January 29, 2016 there are currently 36 people in the U.S. who have been diagnosed with the Zika virus, including four pregnant women -two in Illinois and one each in Washington DC and New York. All of those infected contracted the virus outside of the U.S. before returning, according to health officials. Another woman in Hawaii is believed to have had the Zika virus after her infant was born with the associated birth defect called microcephaly characterized by an abnormally small head and brain, which can lead to developmental delays. There are no locally transmitted Zika cases in the continental United States, but cases have been reported in returning travelers. Locally transmitted Zika virus has been reported in the Commonwealth of Puerto Rico. Due to the recent outbreaks, the number of Zika cases among travelers visiting or returning to the United States will likely increase and can result in local spread of the virus in some areas of the United States. Though several microcephaly cases associated with Zika have appeared this year in the United States, none of them were acquired in the country and no infected mosquitoes have been found in the fifty states but all of the mothers had traveled during their pregnancies to Zika-hit countries. But the infected insects loiter nearby, as locally acquired Zika cases have emerged in Puerto Rico and Mexico.